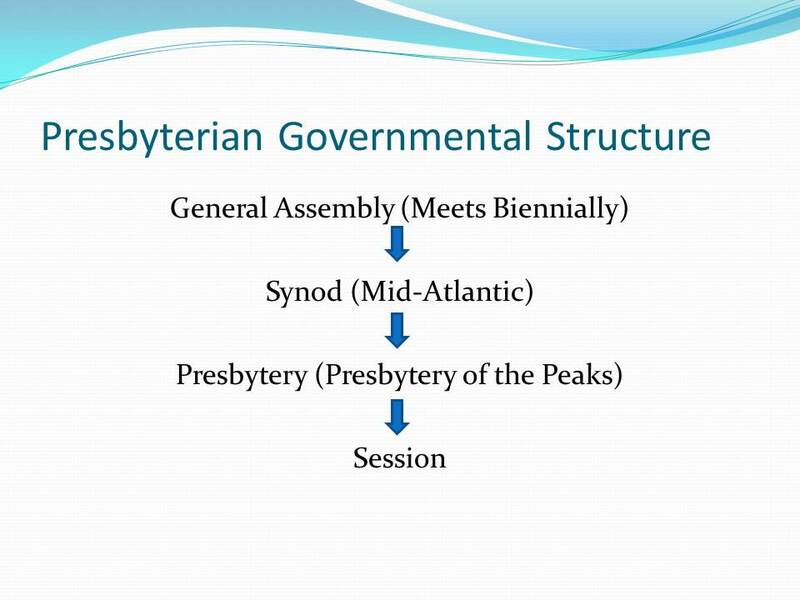 Presbyterian is a Government Word! As Presbyterians, we believe that all of humanity is broken and sinful inherently, therefore in our government, which is based on what we see in Scripture, we seek to distribute power using elders - Ruling Elders and Teaching Elders (or Ministers of Word and Sacrament). The Presbyterian Church (USA), the denomination that Forests Hills is a part of, is what we call a constitutional church. We believe that the Scriptures of the Old and New Testaments are the authority for our faith and life together. The Constitution helps order the life of the church and provides guidance to us. The Constitution does not in any way replace the Bible, but should point us back to and increase our fidelity to the Scriptures themselves. Our Constitution consists of two parts - Part 1: The Book of Confessions and Part 2: The Book of Order. 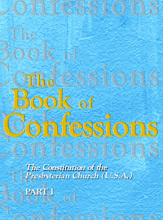 The Book of Confessions contains nine historic confessions of the Church - The Nicene Creed; The Apostles' Creed; The Scots Confession; The Heidelberg Catechism; The Second Helvetic Confession; The Westminster Confession, including The Shorter Catechism and The Larger Catechism; The Theological Declaration of Barmen; The Confession of 1967; and A Brief Statement of Faith - PCUSA. All of these confessions give guidance to the church about what we believe the Scriptures teach. The Book of Order contains our Foundations for Presbyterian Polity; Form of Government; Directory for Worship; and Rules of Discipline. The Book of Order does what its title suggests, provides guidance for the nuts and bolts of the operation of the church in a way that is decent and orderly. Both parts of the Constitution will be provided to you as a current member of session and are available for download on the PCUSA website by clicking the images below. The PCUSA has "councils" (called "governing bodies" in the old Form of Government) to provide for the governing of the church. As you can see in the flow chart below, councils increase in authority as you move up with the General Assembly being the highest council in the denomination. All of these councils consist of ordained elders - Ruling Elders (you!) and Teaching Elders (Ministers). Every individual serving the church as a representative has equal vote on all councils of the church. This is truly the strength of our polity - that power is spread out and not in the hands of any one person. We are all sinners in need of God's grace and, as Presbyterians, we believe because of that simple fact we best discern the will of God together by hearing multiple voices in the decision making and governmental processes of the councils of our church. You've been elected to serve as a Ruling Elder, specifically as a member of the Session of FHPC for the next three years. This does not mean, however, that when your term on Session ends you will no longer be an ordained Ruling Elder. Therefore, it is important to review the biblical responsibilities of elders - for both now and in your continued ministry after your term ends. Elders are discussed and mentioned many times throughout the Bible. Below are three passages for you to read and reflect on. Below is how the Book of Order defines "Ruling Elder" (emphasis in bold added). as teaching elders, and they are eligible for any office." Do you have any questions concerning Presbyterian government or the role/responsibilities of Ruling Elders? Did you read anything challenging or convicting or surprising, in Scripture or the Book of Order, concerning church government/elders? Spend time in prayer, asking for God's presence and guidance with you in your ministry and the ministry of our entire Session. Make note of any questions or insights that you might share with others.